The highly practical lessons in How to Get to Great Ideas are based on neuroscience, psychology and sociology. 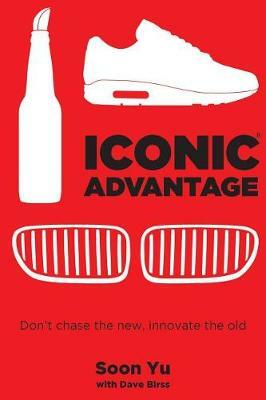 Written by former advertising creative director Dave Birss, this book offers a brilliant new system for conceiving original and valuable ideas. It looks at how to frame a problem, how to push your thinking, how to sell the idea, how to build support for it and how to inspire others to have great ideas. It proves that any organization - and any individual or department within an organization - can create a fertile environment for ideas. Combining a practical research-based system with fascinating insights and inspiring and humorous writing, the book also includes the problem-solving system RIGHT Thinking. This is a tool which enables a more effective way to generate more effective ideas, and is one that anyone can use to transform themselves or their business. Training on this system is also available in person from the author. And will be released soon as an online course. 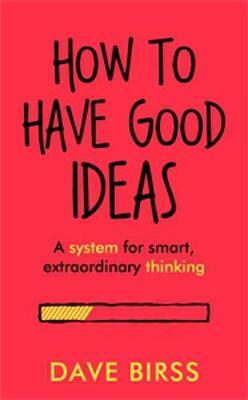 Buy How to Get to Great Ideas: A system for smart, extraordinary thinking by Dave Birss from Australia's Online Independent Bookstore, Boomerang Books.